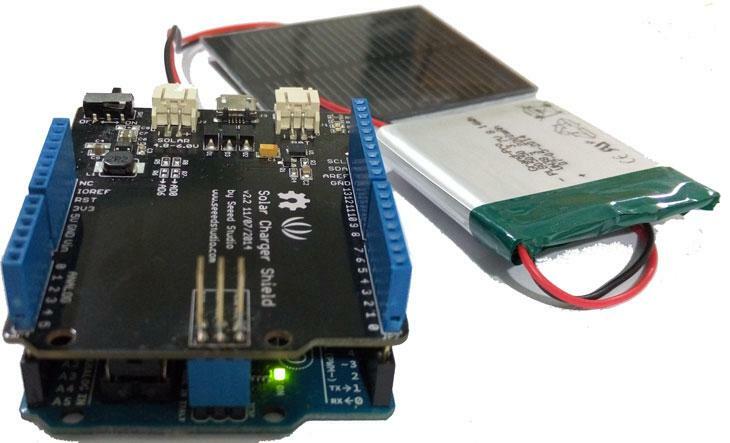 1) The solar charger shield produces charges under sunlight and light from filament bulbs. Its function is more effective in the former than in the latter. Solar panels require invisible radiations namely ultraviolet and infrared radiations for producing current. 2) In order to test the system under filament bulb, hold the solar panel at a distance, less than 20cm(< 0.5 feet). However, the charging may not be effective under filament bulbs. 3) Place the solar panel at an angle such that the maximum amount of sunlight is incident on it. 4) Protect the solar panel from excessive exposure to water/water vapors. This may oxidize the surface of the solar panel and reduce its performance. 5) The Solar panel usually comes with a protective transparent sheet of cover. Remove the transparent plastic sheet for better performance of the solar panel. 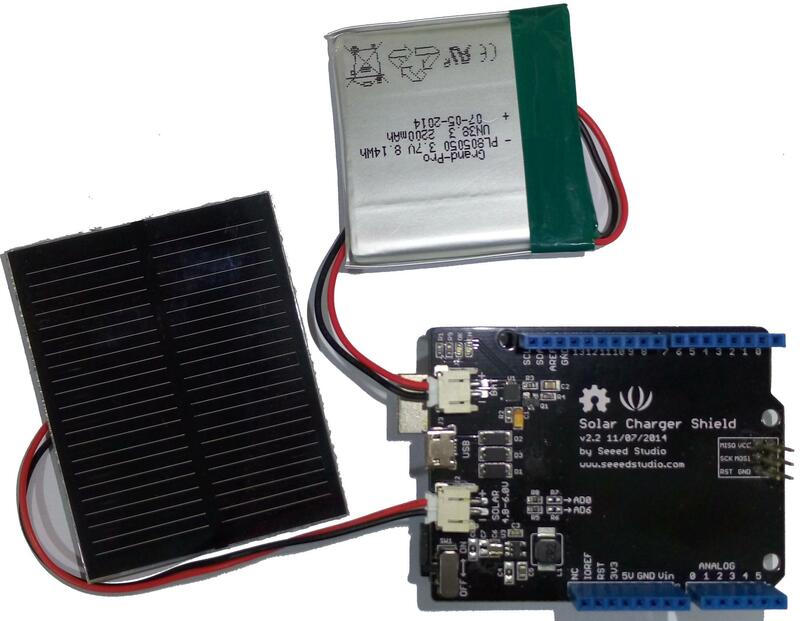 1) The solar charger shield is designed to protect any potential short circuit. However care must be taken to avoid any such situations. 4) When the battery is fully charged, the green light glows. 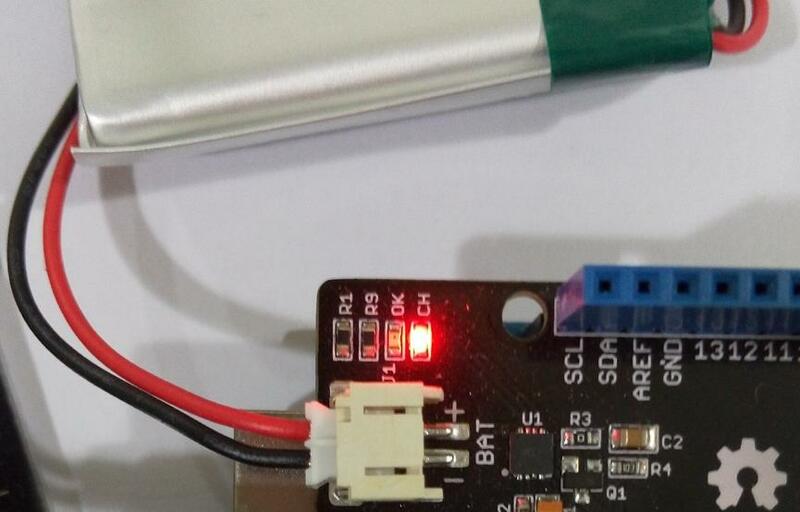 This section will teach you how to measure the voltage of Lipo Battery. 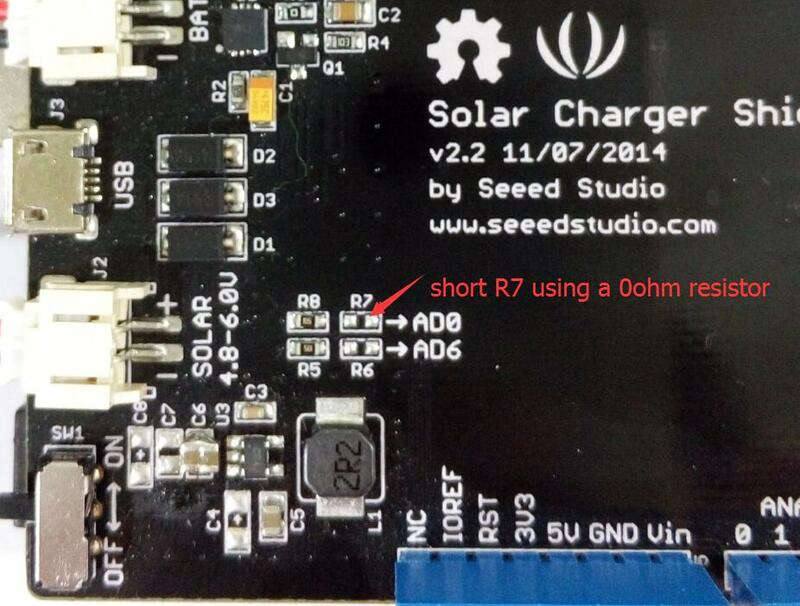 Solar charger shield voltage measurement example. Connect VBAT pin to analog pin A0. 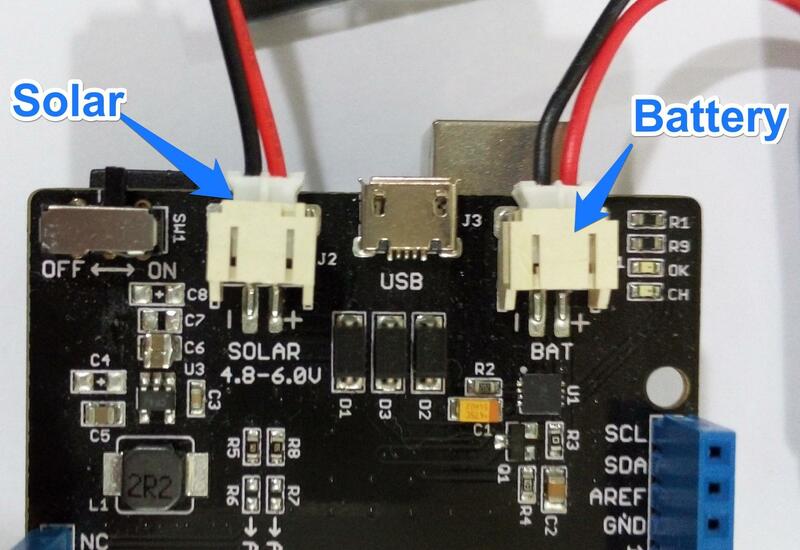 The pin measures 2.0 V when not under direct exposre to sunlight and 5V when exposed to sunlight.